Condensed milk gives a dessert a very special kind of sweetness. 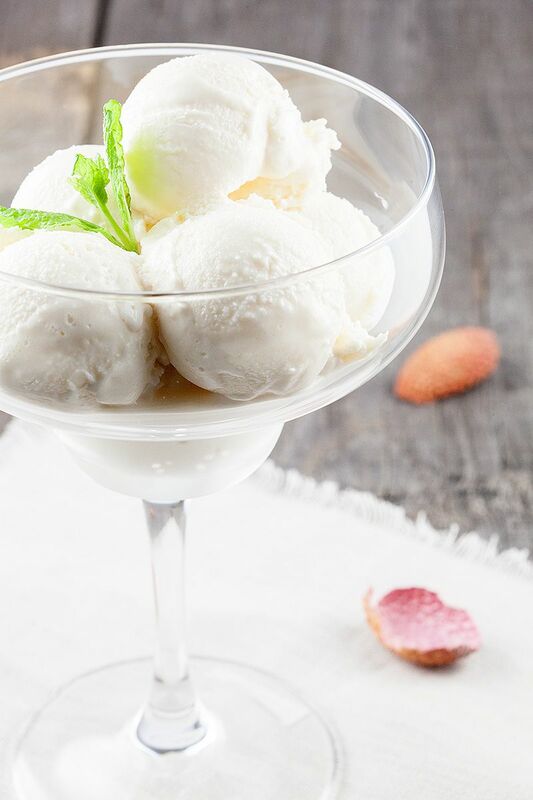 That what makes this lychee ice cream even smoother and more delicious! Tip: Freeze the passive ice cream maker bowl 1 day in advance. PEEL all the lychee, you can use a paring knife to make it easier. 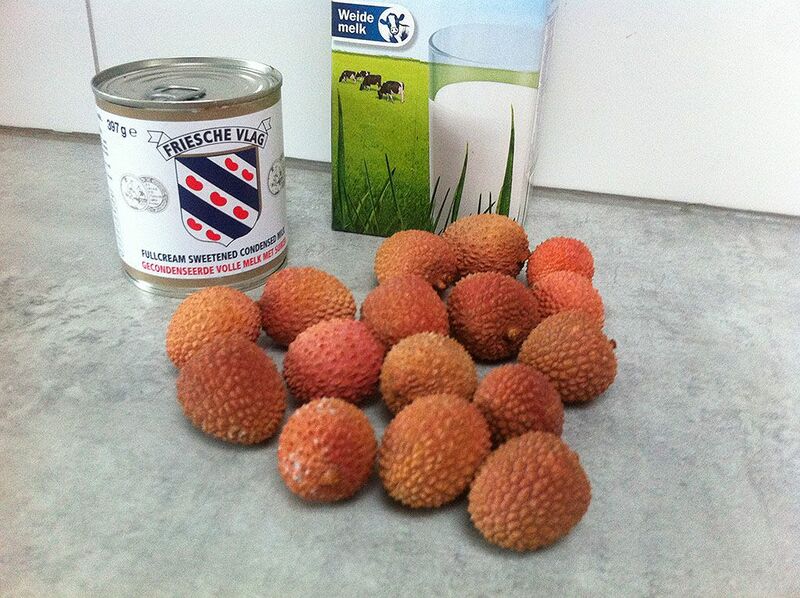 REMOVE the pit and add the lychee and the milk to a small saucepan. Skip the peeling part when using canned lychees. Heat up the small saucepan using medium heat and pour in the milk. Let the milk absorb the lychee flavors for about 5 minutes. Turn down the heat when the milk starts to boil. Use an immersion blender to blend the mixture. We like a smooth ice cream, so therefore we pressed it trough a fine sieve. 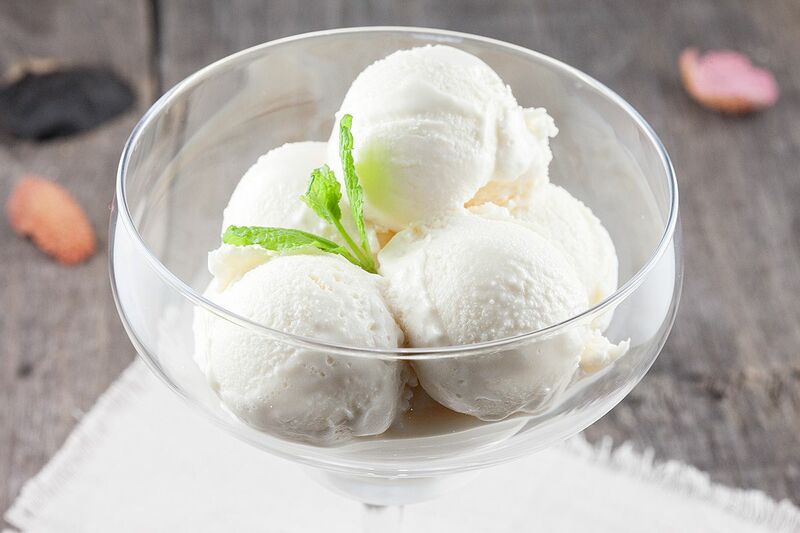 But if you like pieces of lychee in your ice cream, there’s no need to sieve the mixture. ADD the canned condensed milk, turn off the heat, stir, and let the mixture cool off a bit. POUR the mixture into the ice cream maker and let run for about 40 minutes, depending on your machine. When done, remove the ice cream from the ice cream maker and place into the freezer. 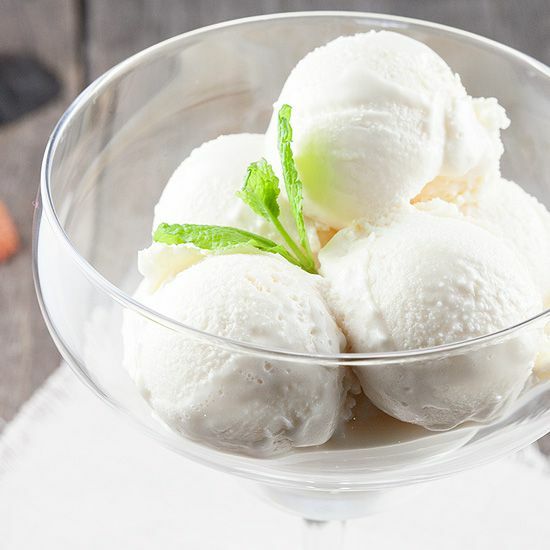 Enjoy this lovely smooth ice cream! If I use canned lychee do I include the syrup? And how many cans do I use?